Every soul, including yours, has a language. 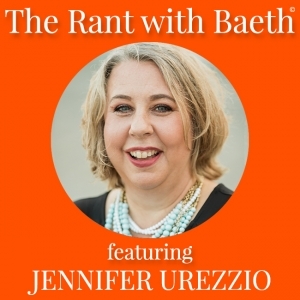 My guest today, Jennifer Urezzio, joins us to talk about how she came to discover, teach, and transmit soul languages to other people. Jennifer is the founder of Soul Language and a master intuitive who uses her intuitive skills to help raise consciousness. Soul Language is a paradigm to put tangibility to Soul. She is the author of two books (available on Amazon): Soul Language Consciously Connecting To Your Soul for Success and A Little Book of Prayers. Listen in as Jennifer shares some amazing, groundbreaking insights into soul languages and being your best self. You’ll love today’s show. *It’s FREE to be in the Facebook group!